The Master of the Mystic Arts and the One-Man War on Crime unite their unique talents in the strangest team-up in comics! 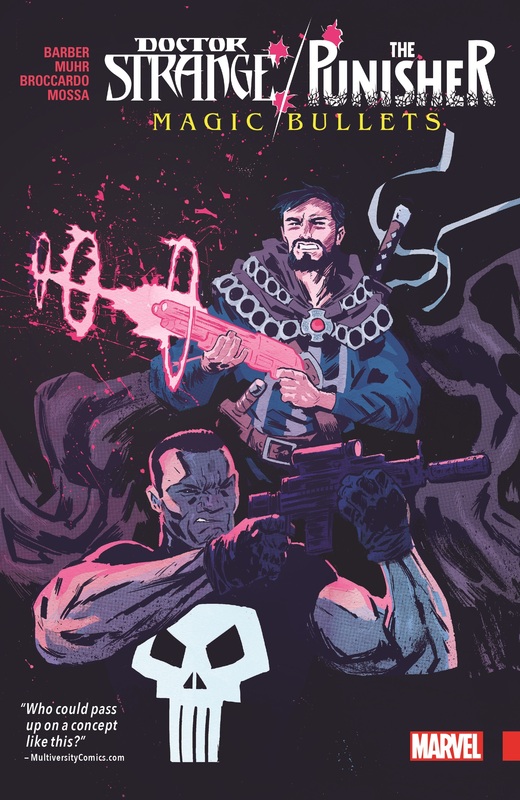 Because, when mafia demons strike, it'll take the combined skills of Doctor Strange and the Punisher to stop them! 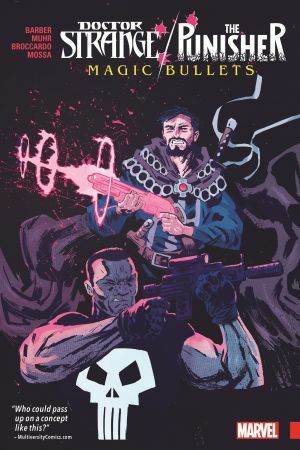 But does this mean that Stephen Strange is about to adopt Frank Castle's lethal ways? Or will the Punisher be learning some new tricks? The Sorcerer Supreme must work on being a little more grounded, while Frank has to expand his worldview in surprising new directions. But with monstrous mobsters on the rampage, this mismatched pair has their work cut out for them! The very different worlds of two of Marvel's most individual characters collide, and the fate of New York is at stake! 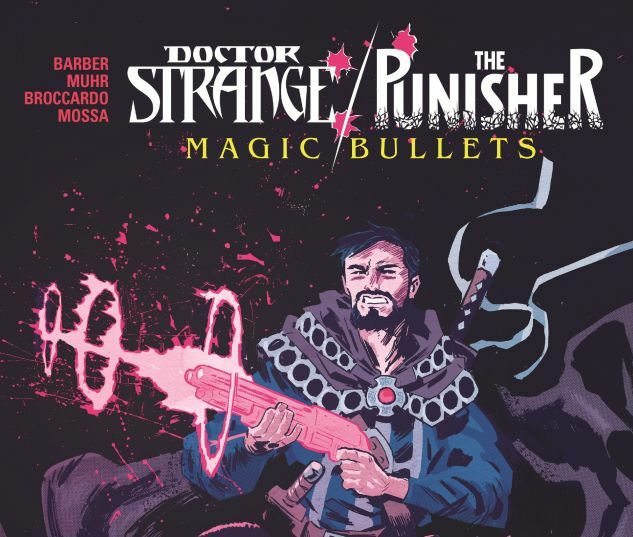 Collects Doctor Strange/Punisher: Magic Bullets #1-4.